Planet Found in the Alpha Centauri System – Could Pandora Be Discovered Soon? Reminiscent of the movie AVATAR, a planet has been discovered in the nearest star system to our Sun, Alpha Centauri. 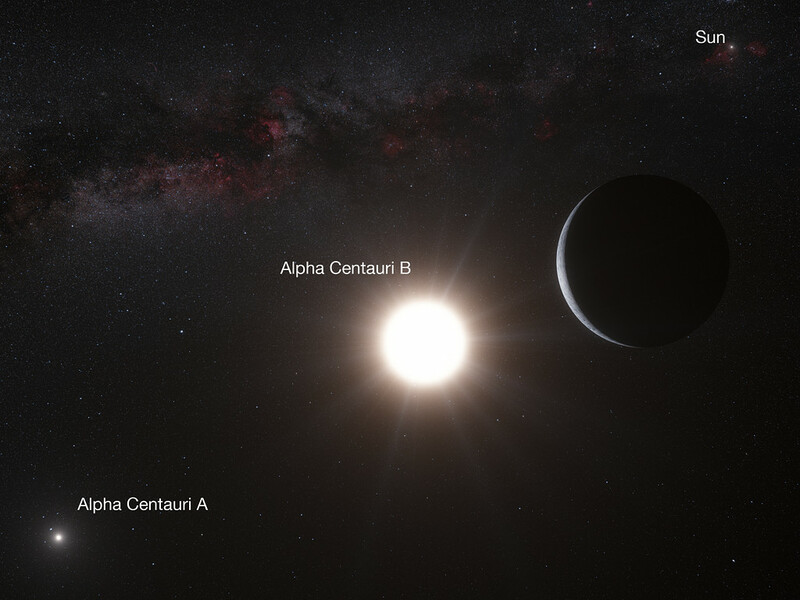 This is a trinary system consisting of three stars: Alpha Centauri A, B, and C. Alpha Centauri A is the same type of star as our Sun but slightly larger while its companion, Alpha Centauri B is slightly smaller and cooler. Alpha Centauri C is a red dwarf star also known as Proxima Centauri and is the closest star to our solar system at a distance of 4.22 lightyears. Alpha Centauri A and B orbit each other at a distance of about 23 AU (Astronomical Unit: 93 million miles/150 million kilometers) or about the distance between the Sun and Uranus. This newly discovered planet is no Polyphemus, the gas giant in the movie that the moon Pandora orbited. The planetary system was in orbit around the star Alpha Centauri A. This planet (designated Alpha Centauri B b) is in orbit about Alpha Centauri B and has an orbital period or year of 3.236 days. It’s mass (minimum mass) is 1.13 times that of Earth and it orbits its star at a distance of about six million kilometers, 3.6 million miles. After extensive data reduction and analysis, the team determined that the star was wobbling at a velocity of 51 cm/sec (20 inches/sec) due to the planet’s motion. This is about 1.8 km/hr or 1.1 mile per hour! Although the planet discovered is too close to its parent star to be habitable, at least with life as we know it, the analysis techniques developed to pull the presence of the planet out of the noise can be used to identify planets with a minimum mass of 4 times Earth’s mass in the habitable zone of a star. This opens up a new category of planets that can be searched for. Note that this is the first planet found in the Alpha Centauri, it may not be the last. It may only be a matter of time before a planet (or moon) like Pandora from AVATAR is found in a star system in the Milky Way. This entry was posted in Astronomy, Uncategorized by RC Davison. Bookmark the permalink.